The Bob A Malhotra in Plainfield, Indiana provides the following products. To learn more about each insurance product, click on the links below. Insurance is designed to give you the peace of mind you need to enjoy your assets without worry, and auto insurance should be no different. That's why [c_agentDisplayName]] works with you to build a personalized insurance plan, so members can be sure they are getting the policy that fits their driving style, vehicle value, and level of activity on the roads of Plainfield. Knowing whether or not your vehicle would benefit from comprehensive coverage, which takes care of incidents that happen when it is not being driven, means knowing where it fits into your portfolio of assets, what your budget looks like, and how it is likely to affect your resale value Bob A Malhotra understands this. That's why options are available that include basic liability protection, collision coverage, or multiple tiers of comprehensive protection, so you have what you need. That's also why we offer Nationwide policies, which have a variety of discount options for drivers based on the safety features on their vehicle and their driving records. If you have questions about auto insurance policies for your vehicle, or if you want to make a purchase over the phone, get in touch with [c_agentDisplayName]] at (317) 838-9015. You can also make an appointment for a face to face meeting at our offices at 110 W Main St. Feeling confident in your insurance policy's ability to protect what matters most is very important. Nationwide customers across the country have known for years that their chosen insurer is going to be there for them through the biggest life changes. 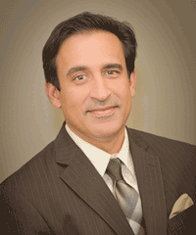 Here at Bob A Malhotra, we are pleased to offer personalized insurance solutions to our valued Plainfield customers. This is a great time to re-evaluate your insurance needs and make sure your policies are working hard on your behalf. Any changes in your life may require taking a second look at insurance coverage. For instance, remodeling or renovating a home can increase its value considerably, which might mean your old home insurance policy is no longer reflective of your actual needs. Visiting with Bob Malhotra or another Bob A Malhotra team member is a great way to explore your home insurance policy options and other important coverage solutions. Thanks to the many coverage options made available through Nationwide, we can offer a more personalized approach to policy creation. Having home insurance tailored to your individual needs is the best way to ensure you are getting the best value. We can help evaluate your current home insurance needs and assist in determining the forms of coverage that best address your concerns. Contact Bob A Malhotra today by calling (317) 838-9015 or visit our offices at 110 W Main St. We look forward to helping your insurance do more for you. Bringing home a new baby, like many of life’s happy events, also brings on new responsibilities. New obligations can be more easily shouldered if you take steps now to plan ahead. In order to provide long-term financial security for your family, you need a Plainfield life insurance agent who can help you understand the types of life insurance that best suit your family’s needs. The agents at Bob A Malhotra will help you safeguard your family’s future by helping you select the right life insurance. We will explain term versus permanent insurance and answer all your questions. We are here to help you assess your needs and will explain the difference between whole life insurance and universal life insurance. Whether you have a new baby on the way, or you brought your baby home several months ago, now is the time to plan for life’s eventualities. Call (317) 838-9015 and ask for Bob Malhotra or visit us at 110 W Main St,Plainfield,IN,46168. We will be happy to work with you to make sure your family’s financial security is always protected. As a business owner you have a lot of responsibility. One of your priorities should be to make sure that you are properly protected in the event of a loss. At Bob A Malhotra in Plainfield, we understand that every company has its own unique risks and coverage needs. That is why we go over your business in detail including if you own or rent your building, the number and types of employees you have, and the nature of your business. We then recommend a custom plan to make sure you are protected against a variety of different risks. When you are ready to protect your company, Bob Malhotra is available to walk you through your options. You can call our office at (317) 838-9015 to set up an appointment or speak with an agent over the phone. You can also visit our office at 110 W Main St.